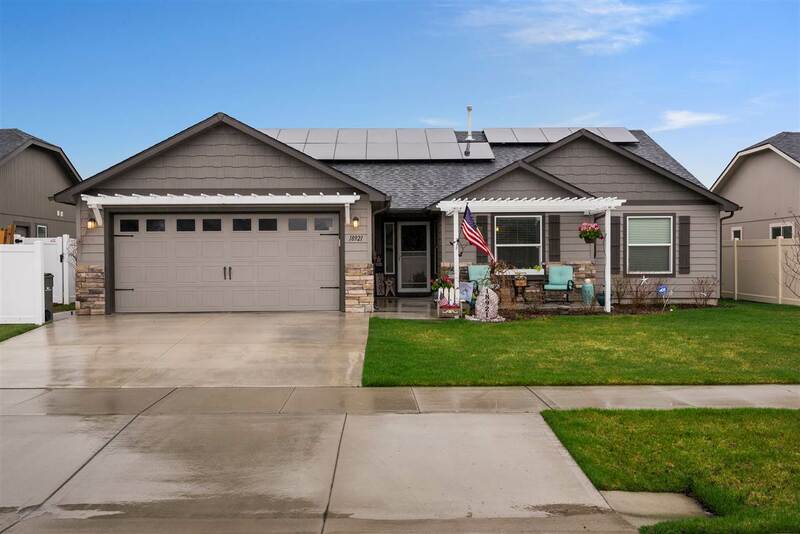 18921 E Mountain View Ave, Spokane Valley, WA.| MLS# 201914096 | Cooper Realty Services (509) 599-1111 | Spokane WA Real Estate | Contact us to request more information about our Homes for Sale in the Spokane WA area. 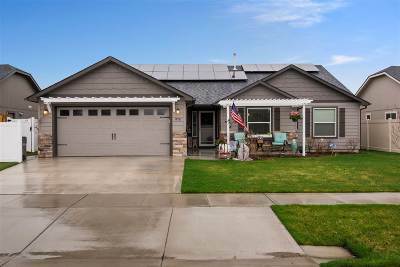 Immaculate Craftsman rancher at River Crossing in a quiet, family friendly community! 3 bedrooms, 2 baths, office/den, and a spacious 2 car garage. Convenient open floor plan with vaulted ceilings, gas fireplace, tastefully chosen colors, stainless appliances & quartz countertops. Covered back patio, fully landscaped yard with sprinkler system, pergola with matching garage trip on the front yard & a beautiful water feature on the back. House has a solar panel system installed.